I said on Friday that I was going to start the Blog-tember Challenge today, even though it has been going on for a week. 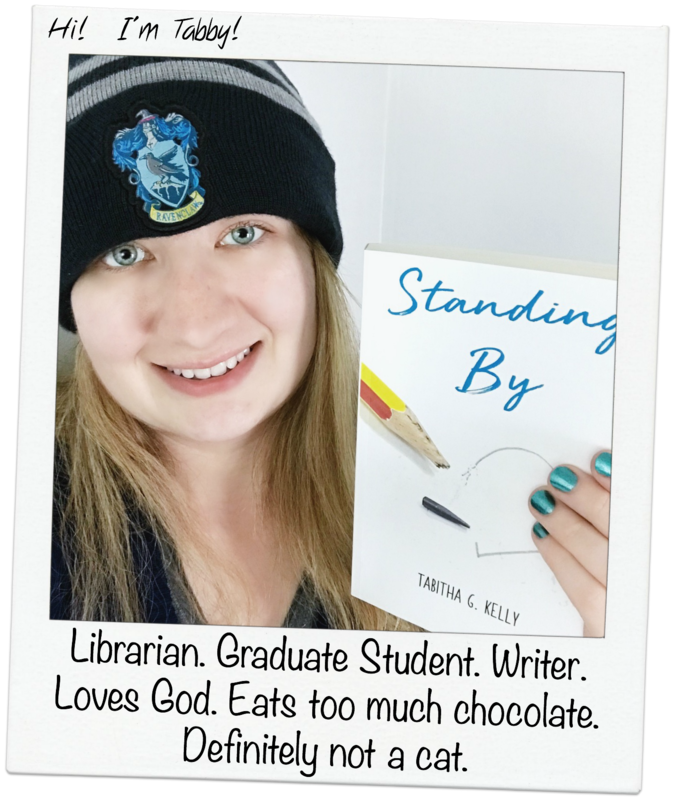 The thing is that I had some posts scheduled for last week and I didn’t want to push them off until next month – that’s why I’m starting this challenge a week late. 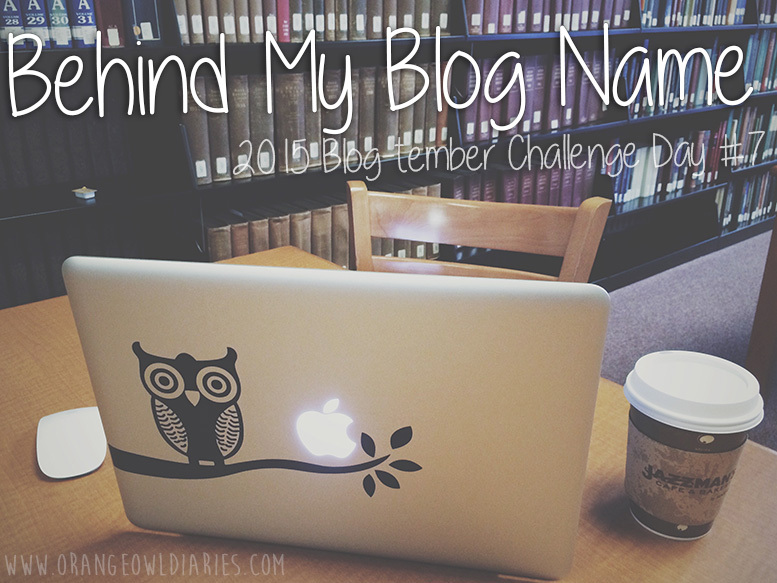 Today’s prompt is to tell how we came up with our blog names, which is a good easy one for me to start off this challenge with. 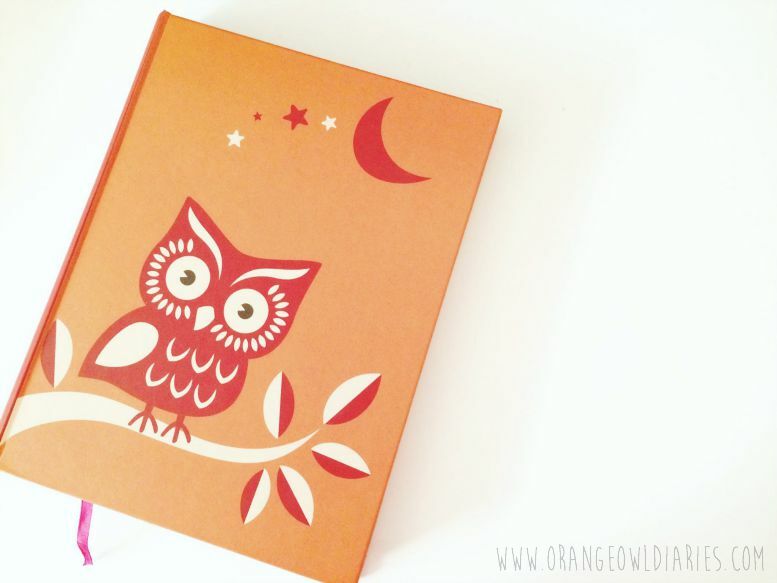 So, here’s how I came up with the name, orangeowldiaries, for my blog. The truth is, there is no elaborate story behind the name of my blog. I tell most people that it’s because orange is my favorite color, the owl is my favorite animal and since my blog is like a public diary… well, there you go. It’s actually not like that though. It wasn’t just something random that I chose because of my favorite color and animal. What really happened was I had already had another diary-like blog, which is no longer existent, and I hadn’t been active for a few months, but I was looking to start again. A fresh start. So I needed a new name. Since I was looking at this blog as a means of public journaling, I realized I would probably not use my actual journal to write in anymore (though I hadn’t written in it for a year anyway). I took one look at my journal, and I knew what the name would be. Maybe you can guess from that picture why it hit me so fast. My journal, or diary, was orange and had a picture of an owl on it. Pretty awesome, huh? And that is pretty much the story behind how I came up with my blog name. I really like it because it was a name that just hit me, plus I have a personal attachment to it. Is there an interesting story behind your blog name? What a creative way to name your blog! That is exactly what I consider my blog to be as well. An online diary. :) And it is quite a vulnerable place to put yourself, but so worth it! Thanks! And it is a vulnerable place, but of course I do hold back from some of my really personal, private thoughts… as I’m sure everyone does. I guess we can’t all be 100% honest on the Internet, even though we’d like to think we can, ha.